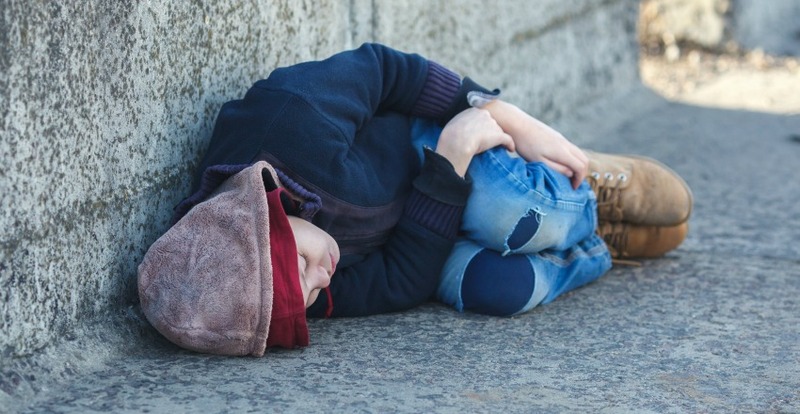 In the nation’s first study of homelessness in college students, Wayne State University researchers in Detroit have found that unstable housing has a negative impact on students with respect to health, stressful events and other areas of their lives. The study was conducted over more than two years through in-person interviews by doctoral student Corissa Carlson for her dissertation, along with her advisor Paul Toro, professor of psychology. Toro, a community and clinical psychologist and an applied researcher who studies poverty and homelessness, says the study idea came after receiving calls seeking advice about homeless students from Wayne State’s president’s office and police department. Although there is little data on homelessness in college students, in 2013 the federal government began asking students if they were homeless on financial aid applications. More than 30,000 students said yes, and it is suspected that number may be low due to students’ reluctance to admit homelessness or not seeing their situation as being homeless. In the Wayne State study, the primary reasons the 50 students reported for their precarious housing or homelessness were job loss, lack of affordable housing, trouble with family, and eviction. The student groups differed significantly with respect to the number of housing sites they lived in during the past year. Homeless students averaged around five, precariously housed students nearly four, and stably housed students just one or two. Despite the differences in housing stability, there was virtually no difference in grade point average among the groups. However, the perception of students with unstable housing was that they were doing worse in their courses, as compared to stably housed students. The groups differed significantly in how they were funding college. On average, stably housed students could rely on about 25 percent of their education being funded by parents or other relatives, whereas students with unstable housing averaged a family contribution of just 6 percent. That may explain why homeless students had significantly more jobs than stably housed students. Due partly to working more, the study suggests students without stable housing are missing out on activities that could make for a more productive and fulfilling college experience. “These students are going to college and working hard to stabilize their futures, even if that means they don’t know where they’re going to sleep tonight,” said Carlson. Housing experiences were also found to impact students’ mental and physical health. Precariously housed and homeless students reported significantly more stressful events over the six months prior to their interview, as well as more mental health problems over the previous two weeks. They also reported more instances of health symptoms such as cold, flu and body aches. Significant differences emerged among the students with respect to relationships during childhood and past romantic relationships. Students with unstable housing were more likely to report experiences of abuse in romantic relationships, as well as experiences of abuse as children. Additionally, they were more likely to have experienced neglect and homelessness as children with their parents, and to have been exposed to social services visiting their childhood homes. When asked how the university could help them, stably housed students were most concerned with additional academic resources, while unstably housed students were more concerned with basic needs like housing. On a positive note, all of the students felt it was easy to get both university and community services, and those services were important to them. Students with unstable housing were significantly more likely to utilize a variety of services, including psychological assistance, WSU’s HIGH program, and community shelters and vocational training. Up next, Toro and a group of undergraduate students are launching a follow-up study to assess the number of homeless college students at Wayne State and further assess their needs. Carlson is beginning a predoctoral internship at Yale in July and plans to continue working with marginalized groups.